Blue Japanese Top – Ta-daaaaaah! Here it is. My blue crochet top hooked from a Japanese pattern! This is my second project from a Japanese pattern. The first one was the red variegated scarf which I blogged about here. The scarf was given away as a gift, so this is the first item I can wear. I really, really, like it! It feels great walking around London in something I crocheted myself (that always feels good), but this time I add a swagger because I know that the pattern I followed didn’t have one single word in English to guide me! Pattern: On Ravelry this pattern is called #4 2-way Top because that’s really what it is. You have two construction options. My way, and leaving the front open to make it into a cardigan. It’s from the Japanese book Easy Popular Knit and Crochet Wear which I bought from Pomadour24 on Etsy. Modifications: To make it the right length I had to add a few rows of the shell pattern before starting with the fan pattern at the bottom. If I could, I would have added extra squares but I had ready crocheted the shell rows on either side of the squares so couldn’t go back and add more squares to make it longer. Yarn: I used Garnstudio Drops Delight in Shade 03. 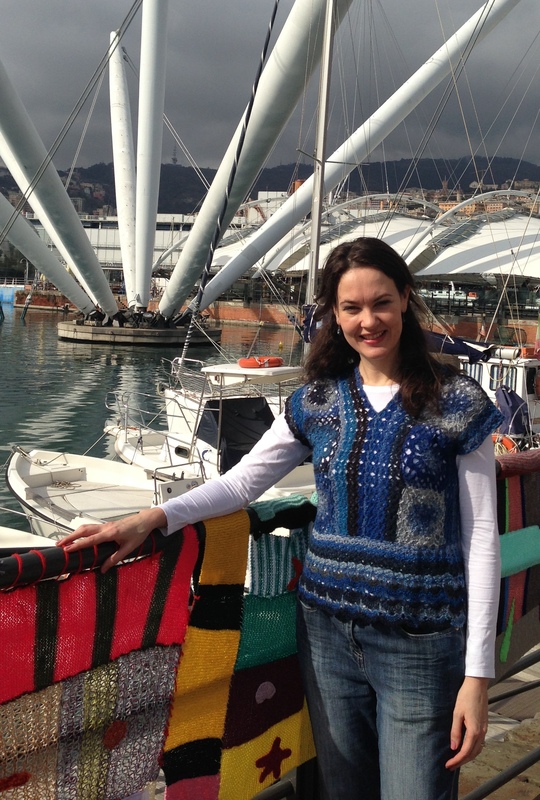 The yarn is a holiday momento from a weekend in Barcelona in January. I bought it at a shop called All You Knit Is Love. The sweetest little shop! Tucked away in a alley close to the Picasso museum. 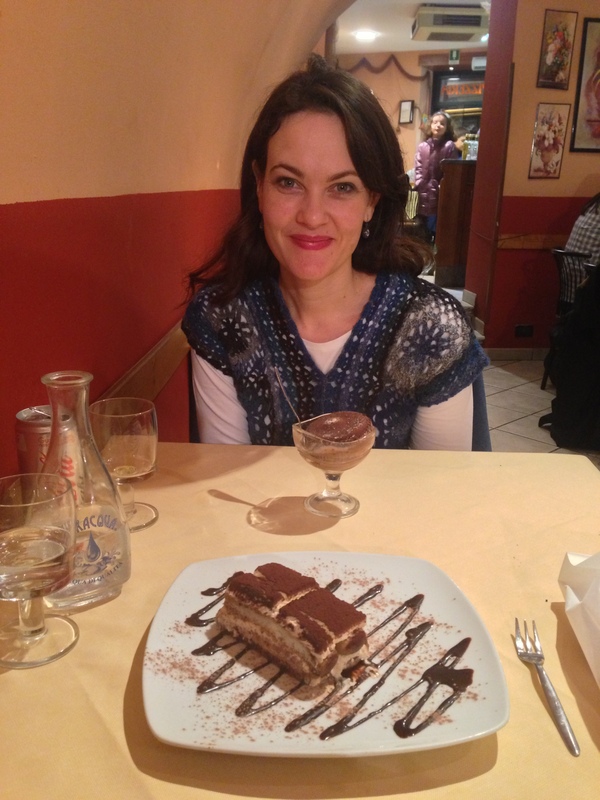 If you find yourself in Barcelona, be sure to pop in. Japanese crochet really isn’t that difficult. Honestly. 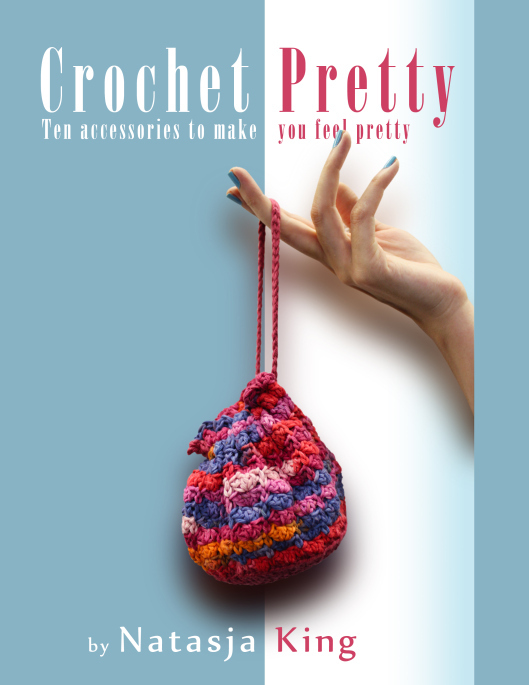 At the end of this blogpost I give a few pointers and links to helpful websites.In case you’re wondering, yes I’ve already bought the yarn to crochet my next Japanese top. I mean, I have a whole book filled with patterns. How can I not?! 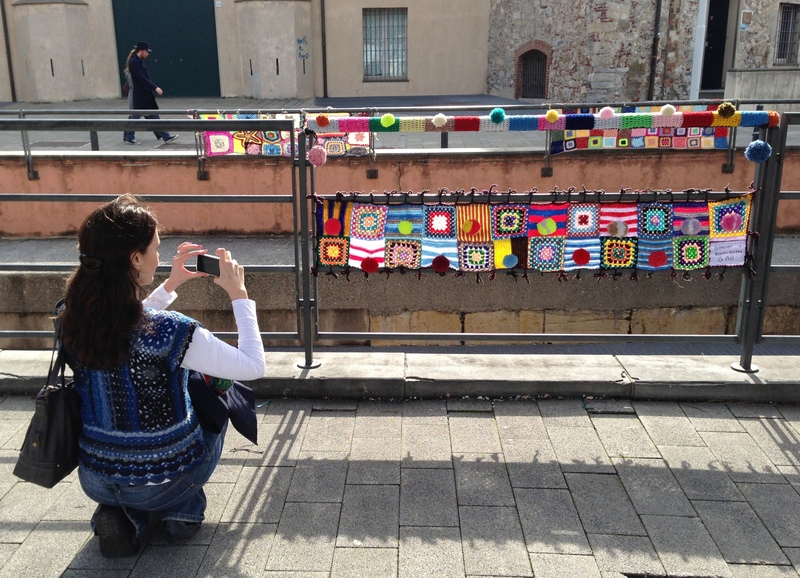 *The setting for these photos is of course Genoa, Italy on the weekend of their citywide yarnbombing, Intrecci Urbani. I blogged about it here. baie baie mooi! 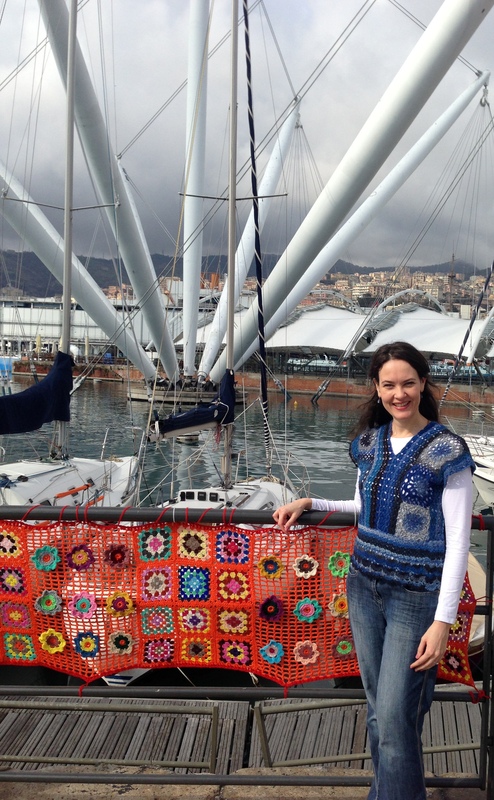 het jou blog oor die yarn-bomb besoek fyn bekyk om te sien of jy jou nuwe top aanhet. Ek hou daarvan, en ‘may I say’ jy lyk ongelooflik na die dieet! It is beautiful 🙂 I do wonder why there are so many amazing patterns etc from Japan. Do you have any idea as to the history? Thanks 🙂 The Japanese stuff really do look different than British or American patterns. I can’t put my finger on why though. 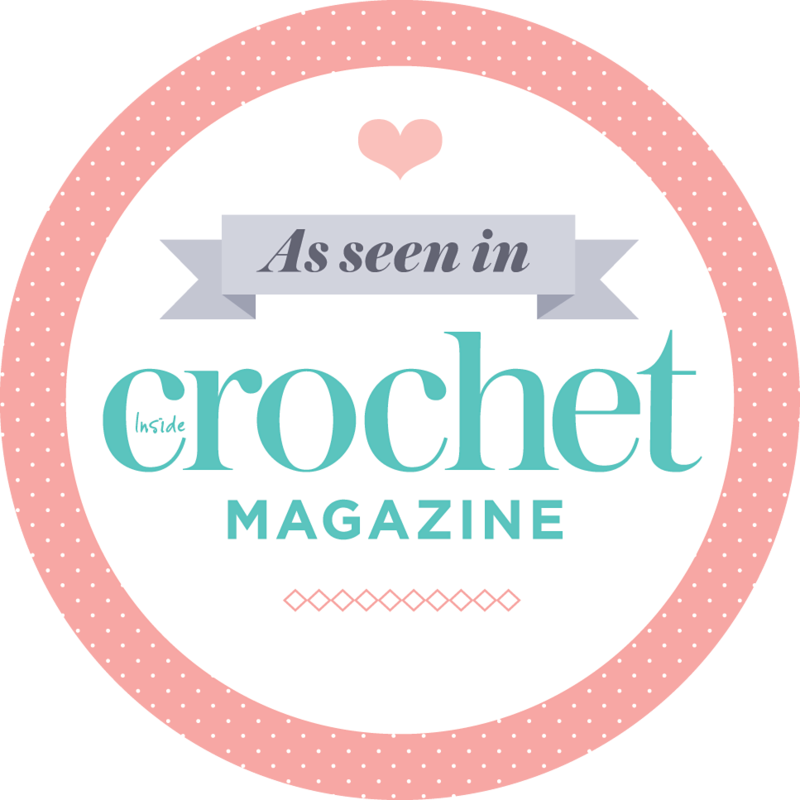 I haven’t researched their crochet history but you’ve made me think that I should! Could be very intersting! It’s beautiful, I love both the colour and the design of it. You did a brilliant job. Hi N! Baie mooi top hoor!